Posted at: 3/09/2011 11:00:00 PM . Recently I have thought about sites I mentioned months ago which might have gotten lost in the shuffle of things. I am going to begin reposting sites that I truly enjoy using when it comes to saving money. This repost is about the Free Games that Help Fight Poverty. 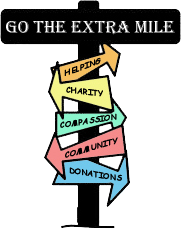 To continue with our Go the Extra Mile concept, I would like to post a small PSA right now. There are two great websites that are kind of fun when you're really bored. Besides helping to boost your brain power, they also donate food and water to poverty stricken areas. It costs nothing to play these games. The food is donated by the advertisers on the sites.